Every now and again I get inspired to make granola. Especially after going to the grocery store and seeing the cost of the store-bought stuff. Can an 8 ounce bag really be 8 dollars? Oh my! 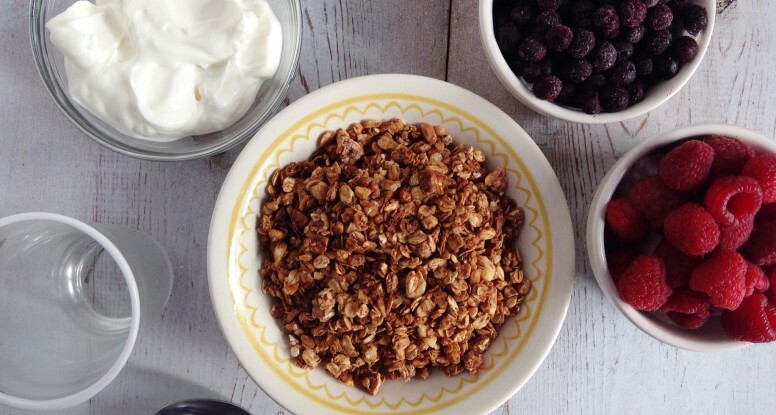 That’s when I turn to my kitchen, because I know I can make granola. And I know a little sous chef that can help me make it! And this time, I went all out. 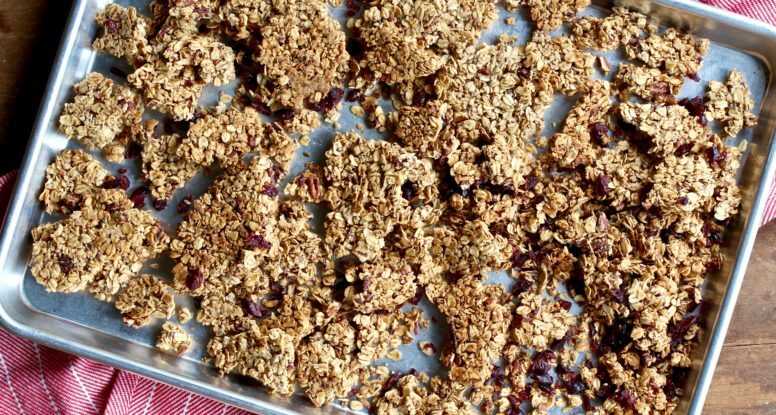 Yup, I made seriously delicious Chocolate Chip Banana Granola! Want the recipe? I thought so. Heeeeere you go! There’s something so incredibly delicious about Mexican hot chocolate. If you’ve never had it, you must try it. At first all you taste is delicious, creamy chocolate and then, something special happens – a kick of heat. Oh yeah. It’s unexpectedly tasty and leaves you wanting another sip. That hot chocolate is great, but when it’s summer, I’m not in the mood for hot beverages. How else, then, could I celebrate those flavors? 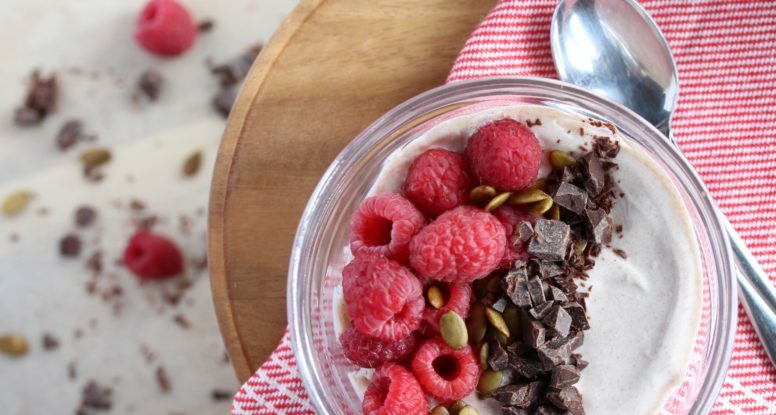 Well, through yogurt, of course – with this Mexican Hot Chocolate Yogurt with Berries. Surprise! It’s Recipe Redux time. This month’s theme was to find a cookbook and “Redux” the recipe on page 54 or page 154. “Alrighty then…let’s see how this goes”, I thought to myself as I eagerly reached for Jackie Newgent’s new cookbook, The All Natural Diabetes Cookbook (the night before my “Redux” was due)! “Please Jackie, please let page 54 hold a recipe that I have most of the ingredients for…and let it be a breakfast dish!” I breathed a huge sigh of relief as I turned to page 54, because there, on that beautiful page was not only a good recipe, but a GREAT recipe! 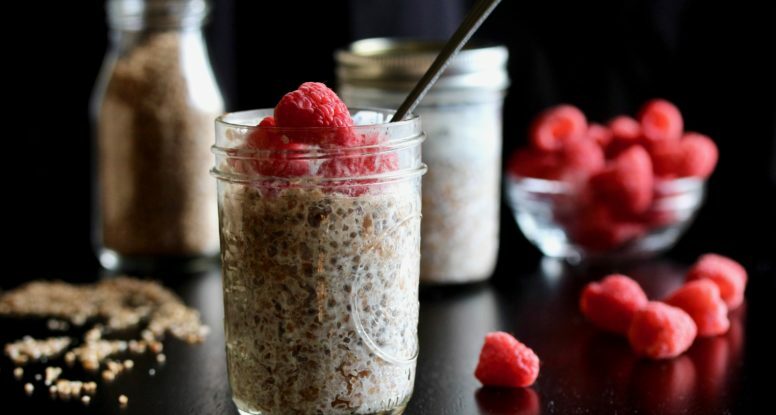 Her Homemade Granola-Raspberry Parfaits! If she would’ve been here, I would’ve given her a huge hug. Success! I’m keeping this post simple because I feel it could easily get out of hand, fast! Here’s the deal, like the rest of America, I am in love with pumpkin. For some people, this is just a trendy type of love, but for me, it’s the real deal and it’s got roots, people, serious roots. 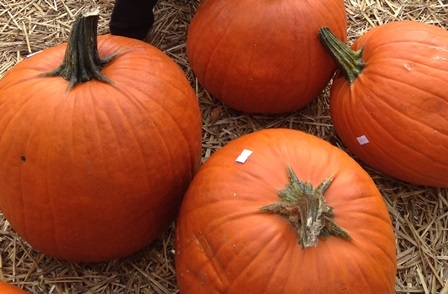 You see my love of pumpkin stems from my love of Halloween. And that love story began a long, long time ago, back when I was embarking on my first trick-or-treating experience. Long before I knew that candy was just the beginning of my beautiful (and believe it or not, healthy) relationship with all things sugar. Now that I have such an advanced palate (uh huh, yep, I do. Ha!) and a degree in Nutrition, I can take what I love and put a de”light”full spin on it. 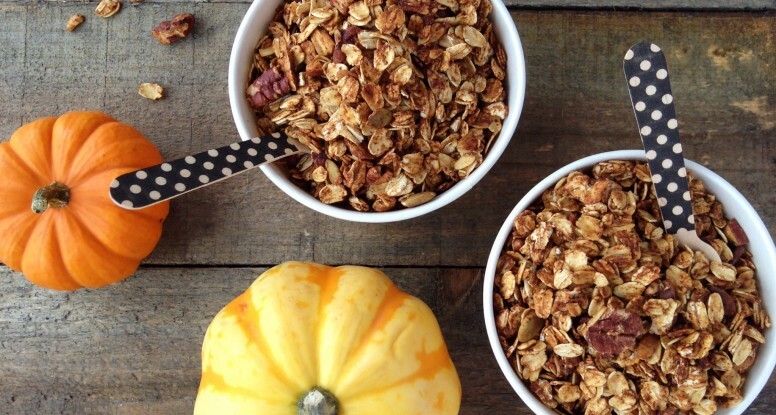 Enter, my pumpkin spice granola. 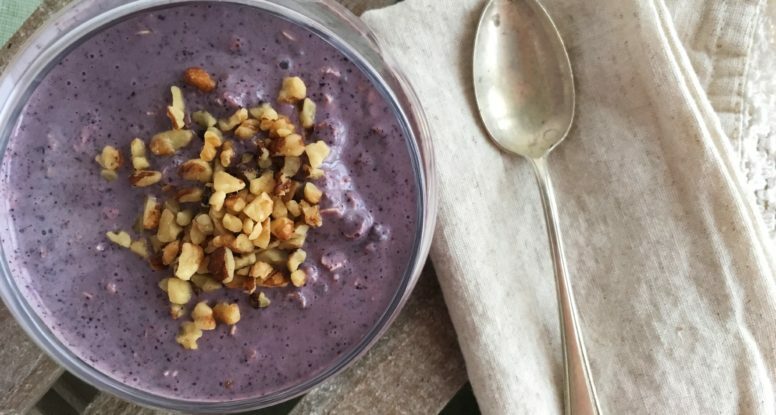 Tired of your usual bowl of cereal in the morning? It’s no wonder if you are! You’re taste buds are likely bored after eating the same thing every day for breakfast. 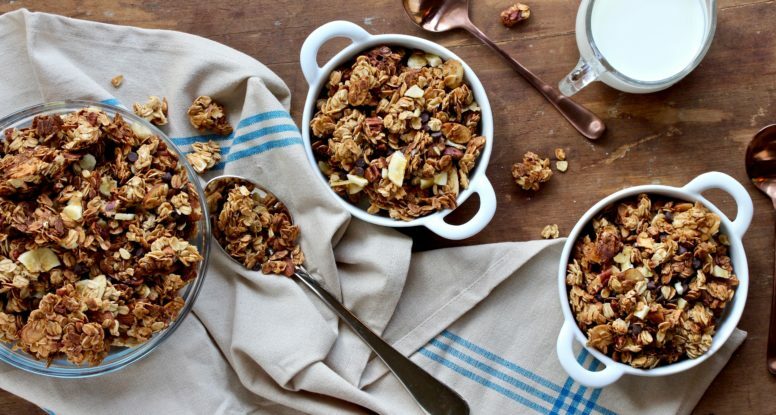 Yes, it’s reliable, but is that bowl of flakes filling your “nutritional bucket?” Meaning, is it offering a myriad of nutrients that keep your body fueled to function at its best? 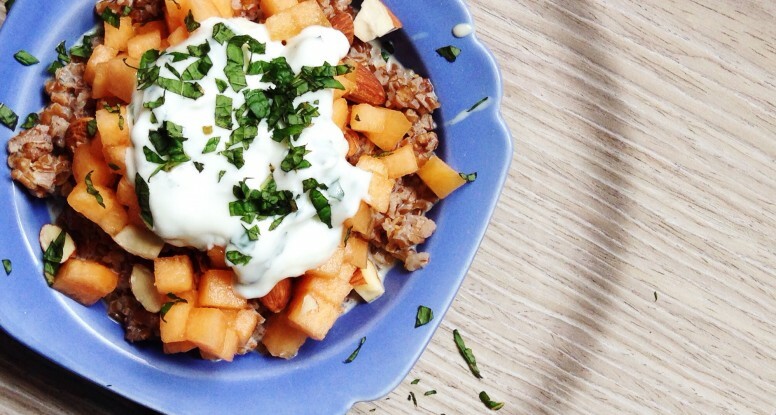 Instead of filling that bowl with cereal, why not give yourself a meal that tastes good, fills you up and gives you the energy you need to start your day off right? 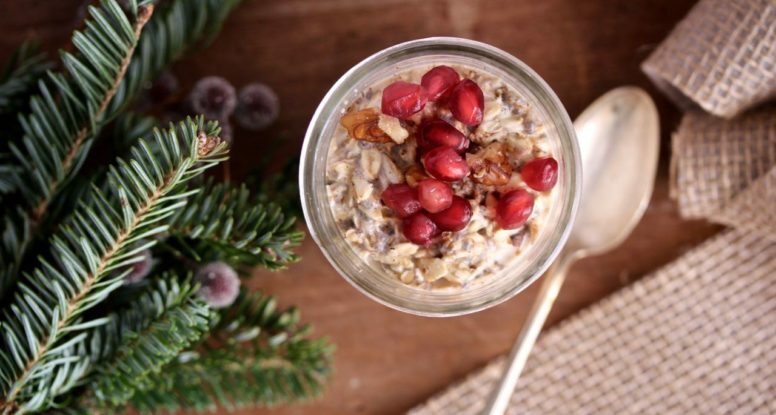 Slow cooked oats! Slow cooked oats with roasted pumpkin!!! I know, I know, it’s only September and yes, I suppose it’s a bit early to be publishing recipes highlighting pumpkin. To be honest though, I feel like I’m the one behind here considering Starbucks is already selling their Pumpkin Spice Lattes and the grocery has filled the “holiday aisle” with Halloween candy.